He is very well known for his weapons, the Holy bomb because he succeeded in driving away many demons who were met while traveling in Europe as exorcists after graduating from theology colleges in Spain. there is a note that he died in Germany while carrying out exorcism activities, but no one believes in his death. Criss started as a medical man in England. 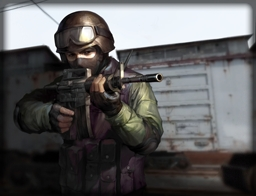 But his fighting ability made him respected so he was transferred to the counter-terrorist forces. Everything about it is confidential, but news says that he is in contact with the Rex Research Institute. 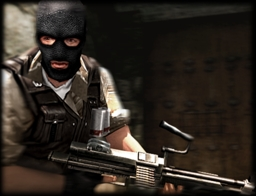 A member of the special forces intelligence section, he became a spy and entered the Terrorist group. He was uncovered by another female agent while investigating ARA's secret documents and returning to his country. 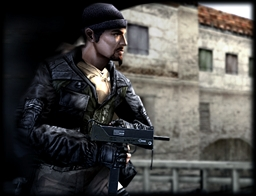 To find answers to the documents he found, he had to get the documents back, and then he joined the Counter-Terrorist. 707 Special forces created in 1982. 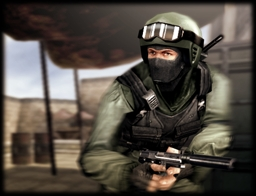 The German GSG-9 and US Delta force were trained in training camps 707 which showed that visibility and influence from special units 707. 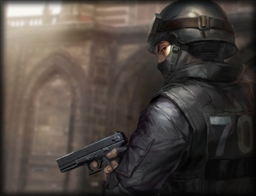 The elite members of 707 were chosen from various advantages, both in shooting, martial arts or military training . 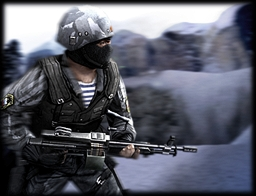 The main task of SPETSNAZ (Russia) is to get information about the military and the economy and also to destroy it. They also regulate sabotage, acts of subversion, punish rebels; form and train defectors, and others. The first military forces in China were established in the late 1980s. 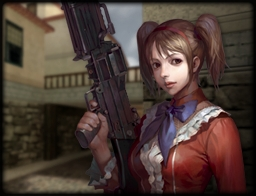 With special mission objectives and quick reactions, these forces were formed from the Guangzhou provincial army. But later in 1990 it was changed to a special unit consisting of a combination of 7 different provinces..
SWAT has been in Taiwan since 1983. 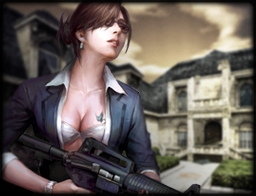 Thunder Squad, formed in February 1993, handles crime from China and Hong Kong. 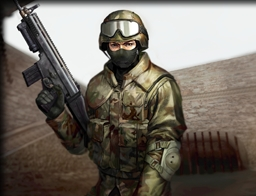 SAS from England was founded during World War II by David Stirling. 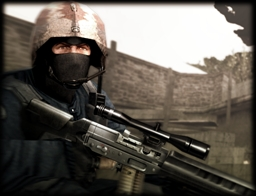 Their role in WW2 is to gather information and act in the back line of the opponent. They also carry out sabotage and murder of dangerous targets. 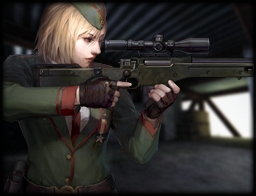 Natasha is the number one sniper in the Russian Forces. 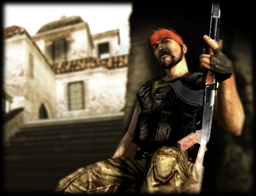 He joined the Counter-Terrorist division to avenge the death of his best friend by the Terrorists. 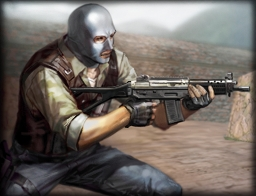 GSG-9 was born because of a tragic event which resulted in the death of a number of Israeli athletes during the 1972 Olympics in Munich, Germany. 8 terrorist attacks on troops and activists took place in Japan since 1972. 12 people were killed and 5,500 injured by Sarin gas released by Aum Shinrikyo (Japanese sect) in 1995. SAT (Special Assault Team) was formed in April 1996 to prevent this from happening again. 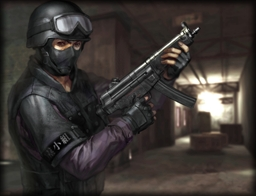 The French Counter-Terrorist elite, GIGN, is a special force with a rapid response to fighting terrorism on a large scale. 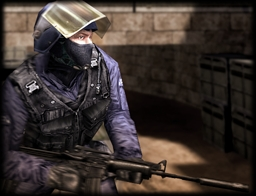 With no more than 100 people, GIGN is known for its high reputation for success. 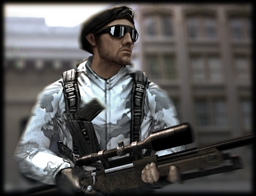 ST-6 (now known as DEVGRU) was founded in 1980 under the leadership of Lieutenant-Commander Richard Marcincko. 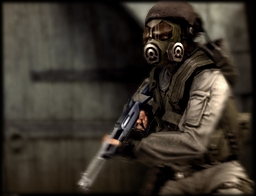 ST-6 was placed as an army to anticipate attacks on American interests in the world. 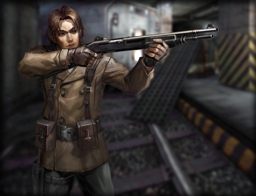 A hunter from Ireland, famous as a troubleshooter for sudden events. however, he disappeared without a trace when he reached its peak. 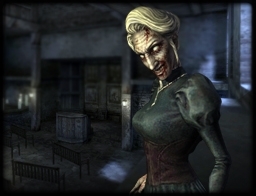 Horrifying rumors about zombies that spread on the European mainland after their loss, caused people to believe that their loss was related to all this. Born amidst the 90s in Asia, Yuri is an expert in blasting. He participated in separatist wars and was known to die while carrying out new explosive experiments. Despite this news, he disappeared and developed a new explosive and was seen during Rex Research Institue's blast. Born in Asia, Ritsuka has been fighting in the country since his early age. 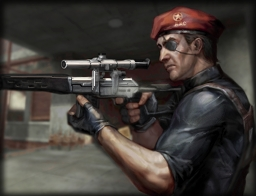 He had experienced a lot of war experience and became a permanent member of the ARA when he became a hitman. There he dismantled the spies who were looking at ARA's secret documents, and now he tried to keep this confidential information from spreading. Formed in the 1970s, one of the most dangerous terrorist organizations in Europe, these forces kidnapped and killed senior state officials in the 1970s, because their incidents became famous throughout the world. The spread of their terror began in 1970 when a group of 9 armed terrorists took over an airplane and forced a change of direction to North Korea. The main purpose is to spread Marx/Lenin's theory throughout the world. With this as a rationale, they began to launch attacks on the world. 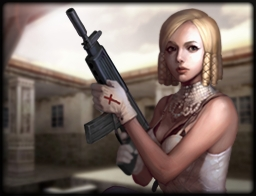 Jennifer is a freelance journalist who received a request to investigate a strange report on Rex Lab. However, the disguise was uncovered and he was caught, and made as experimental material. Escape from Rex Lab with the help of terrorists, Jennifer joined them to bring down the government. It is known for its independence from one European country and their military movement targeting government facilities. Terrorist organizations from the Middle East, this group is known for its cruelty. Their hatred of America was proven by the 1982 bomb tragedy on a school bus filled with Rock 'n Roll musicians. 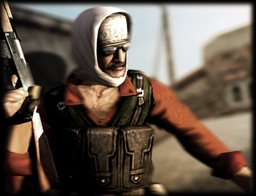 A Swedish terrorist who appeared in 1977. Famous for blowing up the Canadian embassy in 1990. They can finish anyone who blocks their way. 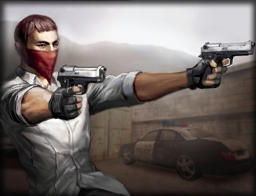 Phoenix Connexion is one of the feared terrorist groups in Eastern Europe. Formed after the Soviet Union was divided. Groups from the Middle East who aim to rule the world and other evil desires. The Midwest Militia is a right-wing extremist movement consisting of armed military-non-military groups. This anti-government group was founded in 1993 in Waco, Texas. It is a prototype of Phobos which is found in very large quantities. deimos has a gene similar to phobos which is considered very dangerous. he has the ability to drop human weapons. There are rumors that the corpse of a torture expert in parts of Europe has been revived as a Stamper and he goes around killing people in the same cruel way when he was alive. He carried torture equipment on his back and used them for various purposes. 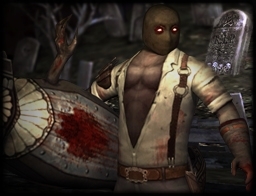 Zombie was created from terrible research by Dr.Rex named Heavy zombie. 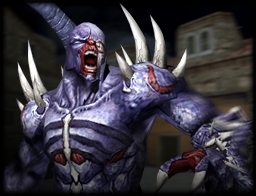 Large and heavy bodies are used to destroy human defenses and are more powerful at receiving attacks than other types. 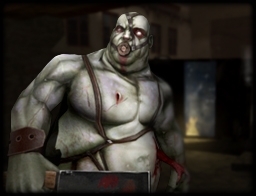 besides that heavy zombies can remove traps from their bodies that make humans unable to move. 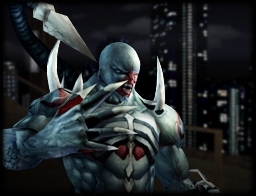 Many eyewitnesses say that banshee is not just a rumor. he uses magic power. and has the ability to attract enemies and make illusions. 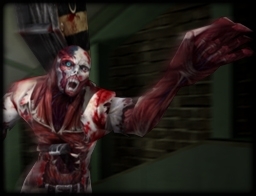 The results of the research conducted by Dr.Rex produced a "light" type zombie called light zombie. have high speed and jump but are weaker than attack. Light zombie has a "stealth" skill that temporarily disappears him. 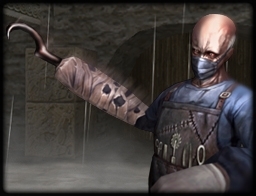 Is a doctor who participated in research with Dr.Rex but he turned into a zombie. and has the ability to remove black smoke. 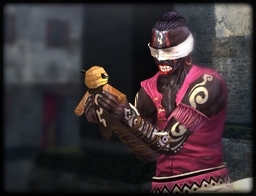 Zombies are produced from a shaman virus that is contagious. This zombie has a very high magic power and has the ability to heal other zombies or himself. Based on data from strategic institutions that say apart from deimos there is a separate type called metus. This zombie has very good strength and agility. so that he is more resistant in human attacks. and has the ability to run fast. The first zombie was found, but this zombie has no intelligence and looks like a human-shaped flesh. this was caused by incidents in the study. This zombie can run fast for a while.